The Golden State Warriors return to action on tonight as they take on the Minnesota Timberwolves. The Warriors are returning to Oracle Arena after five consecutive road games, during which the team won three in a row, after losing the first two. The Timberwolves meanwhile will be playing the second game of a four-game road trip, and are coming off of a 113-95 defeat in Portland. It is destined to be a big game between two Western Conference rivals, as the 10th placed Timberwolves are currently just 4.5 games behind the Conference-leading Warriors. The defending NBA Champions will nevertheless start the game as heavy favorites due to the fact that the Timberwolves have a road record of 2-9 going into the game. 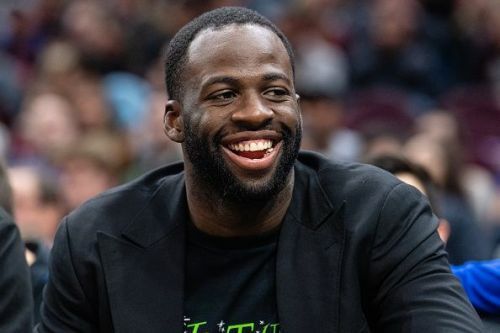 There is also positive news for Warriors fans, as Draymond Green is set to return to the starting five for the first time for almost one month. The 28-year-old last played on November 15th, and the 2017 Defensive Player of the Year won't be on a minutes restriction. This means that the Warriors core of Klay Thompson, Steph Curry, Kevin Durant, and Draymond Green will all feature together for the first time in over two months. The only selection issue for Steve Kerr is over whether he should start Kevon Looney or Andre Iguodala, although Looney should get the nod after impressing in the Warriors recent winning streak. On the Timberwolves side, the team has no new injury concerns, and Robert Covington's return from a sore knee will result in Derrick Rose dropping to the second unit. Rose made a rare start in the defeat to the Trail Blazers, although Tom Thibodeau continues to prefer the 2011 MVP coming on from the bench. The lack of depth among the Timberwolves roster means that changes are unlikely, so we will see the usual starting five in California tonight.